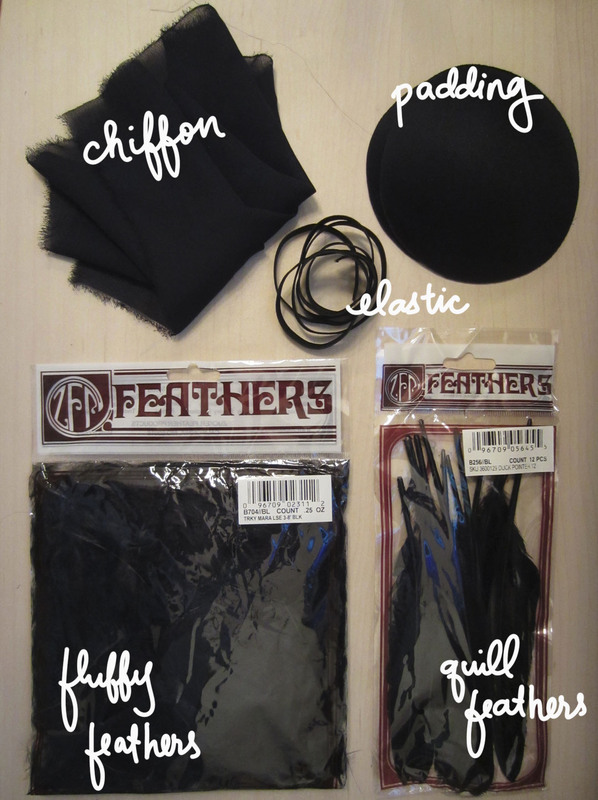 This obviously is not the most practical of tutorials, but you never know when you need a feather bandeau! Plus, you can always replace the feathers with floral appliqués, beads, or whatever other embellishment you fancy. Brittany gave me some extra feathers she had from Jo-Ann’s. I had some elastic, chiffon, and a hot glue gun on hand. 1. Gather the chiffon down the middle and sew in place. After measuring how far apart the padding should be, sew the chiffon on to the padding. Sew on elastic. 2. There were two kinds of feathers used for this, quill feathers and fluffy feathers. I glued down a layer of fluffy feathers across the top, a layer of quill in the middle and finished it with a final layer of fluffy across the bottom. Ba-da-boom. That’s pretty much it! Wow, you girls look amazing!!! Great photo! I can’t handle all the hotness in these photos. P.S. I’m gonna have to borrow that bandeau sometime. Even if it means making up a character/event/reason just to wear it. 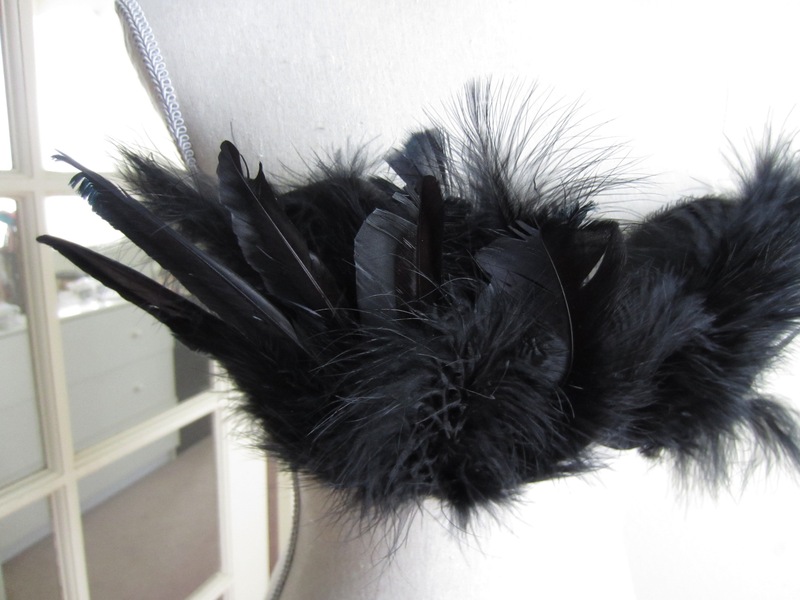 Making some feathered shoulder pads and think this would look great with them. Just wondering how it does up?